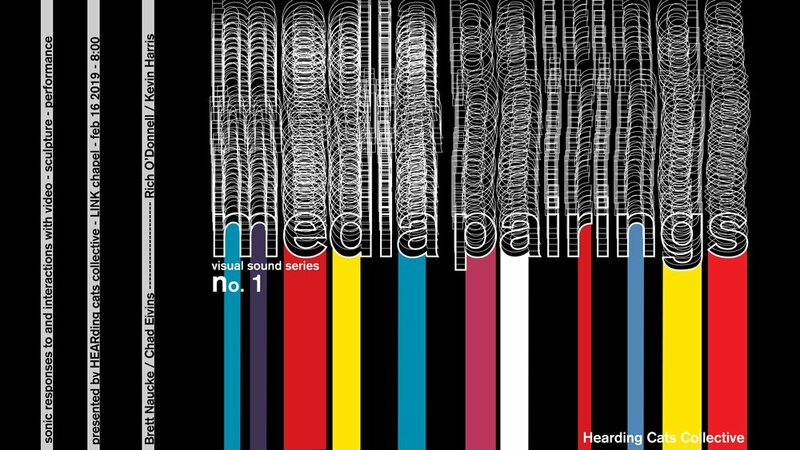 Media Pairings is new series exploring media interactions. Each event will compare and contrast the space and movement created by combining visual and aural stimuli. By focusing on the potential of live artistic interactions that cease to exist as a system of media hierarchy, we arrive at a place of unique holistic development. Creating media environments that are sensitive to balance and complexity can open a fascinating space for contemplation and discovery. Brett Naucke and Chad Eivins explore the relationship between modular sound synthesizer and live projection-based feedback. The synthetic textures created by Naucke can be colorful and kinetic, making them particularly well suited for the fluid video practice of Mr. Eivins. The second pairing of artists will find musician and sound artist Rich O’Donnell performing on the electronic KYMA system, creating a sonic basis for visual shape and pattern generation from the modular video synthesizer of media artist Kevin Harris.